Columbia University Press, New York City, 2018, 345 pp. April 13, 2018—When co-author Richard Sylla presented this book at the National Archives on March 14, I immediately thought that his Alexander Hamilton on Finance, Credit, and Debt would be a valuable contribution to today’s revival of the First Secretary of the Treasury and his thought. Now that I have read the book, I can only underscore that conclusion. As I said in my news report on that event, the book’s thesis is that Alexander Hamilton is responsible for carrying out a “financial revolution” during his 1789-1795 term as Treasury Secretary, a revolution that provided the young United States with all the “financial technology” it needed to develop as a great nation. Particularly interesting is the chapter devoted to the Society for the Establishment of Useful Manufactures (SEUM) , which includes Hamilton’s 1791 prospectus for the industrial complex which anchored the town of Paterson, New Jersey. It is also fascinating to read Hamilton’s own reflections on the success of his labors, which he provided in two other usually-overlooked documents, his 1795 Report on a Plan for the Further Support of Public Credit, and his unfinished Defense of the Funding System , written six months after he left the Treasury in January 1795. Not only was the Federal government running a surplus when he left office, but, as Hamilton notes, the overall health of the economy was reflected in the increase of trade, the growth of manufacturing concerns, the building of canals and roads, and increasing prosperity overall. we hope that Hamilton’s financial writings, as presented in this book, will be studied by citizens, financiers, and policy makers. They contain many lessons, among them the importance of fiscal and monetary responsibility; the energizing effects of money, credit, corporations, and securities markets; and the synergies of an articulated financial system. The United States was fortunate to have a Hamilton who understood all these things at the beginning of its history. He established or unleashed many of the forces that would make the United States an entrepreneurial, rich, powerful, and free nation. I would agree that important lessons can and must be learned from Hamilton’s economic writings, but I think that a broader picture of Hamilton’s thinking is required in order to define those lessons. Hamilton’s financial “technology” cannot be separated from his broader aim—the creation of a national industrial economy (the Union) dedicated to scientific and technological progress. In truth, Hamilton was not so much a financier as a political economist, dealing with the relationship between what is today called governance and economic development. What was important was that there would be a banking system, and that the currency of the nation would be based upon it, not upon gold and silver. That meant the nation could be built on credit, for the crucial characteristic of banking currency is that it is money created in the present, not out of past savings but out of the expectation of future profits. That statement raises another issue which I think gets somewhat confused in the Sylla-Cowen narrative. In my view, Hamilton’s financial methods were subordinate to the concept of a credit system, a system very much at odds with the objectives of the Dutch and British Empires which Sylla and Cowen point to as the pioneers in establishing the financial institutions (a national bank, securities markets, currency, etc.) which Hamilton established in the United States. Under a credit system, as McDonald indicates, the orientation of finance is toward creating a more productive economy in the future, not in accumulating wealth per se, or just financing wars. Thus, unlike the Bank of England, or the Federal Reserve today, Hamilton’s Bank of the United States served not just as a bank whose paper could create a national currency, and be a resource for Federal government finances, but as a commercial bank for building up what he consider the real wealth of the nation—industry and agriculture. The purpose of the Bank comes through loud and clear in the Report on Manufactures, a document which I believe gets short shrift in the Sylla-Cowen book, relative to its importance. That purpose is to build a unified nation with an energetic government, enough self-sufficiency to defend itself, but also to prosper through developing the arts and sciences, to achieve the progressive improvement of mankind. To cherish and stimulate the activity of the human mind, by multiplying the objects of enterprise, is not among the least considerable of the expedients, by which the wealth of a nation may be promoted. Certainly Hamilton’s broader concept is the way that the great American Presidents who followed Hamilton’s ideals—George Washington, John Quincy Adams, Abraham Lincoln, and Franklin D. Roosevelt–understood the nation’s mission. Slater’s Mill, an early factory in New England. SOURCE:Rhode Island Historical Society..
Alexander Hamilton showed his broader outlook not only in his economic writings, but through his role in devising and defending the U.S. Constitution; in promoting freedom and education for the slave population; and in advancing institutions for scientific knowledge, from the national military academy, to the American Philosophical Society, of which he was a member. In this light, I would propose that the Sylla-Cowen book serve as the kickoff to a national debate on Hamilton’s political-economic views and policies, and how the principles they represent need to be carried forward today. 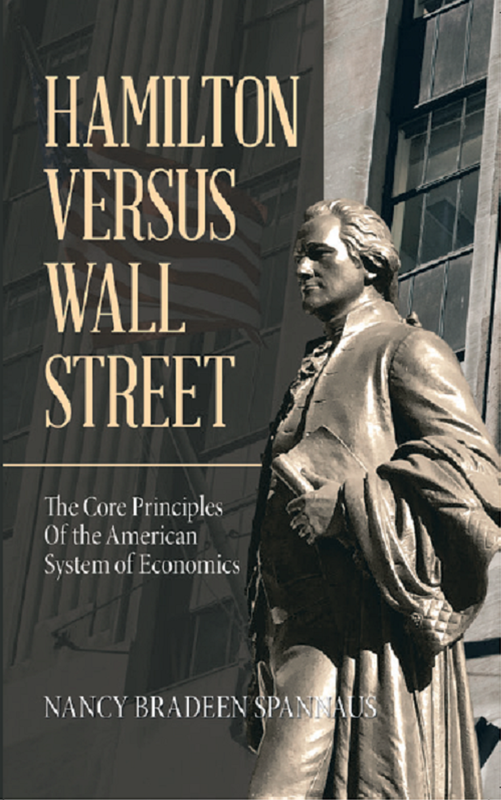 Both authors are in the midst of one of the major centers of the Hamilton Revival, around the Museum of American Finance in New York City. That institution, and perhaps others, have the resources to organize such a colloquy—either online or in other venues. There is no question but that the nation needs that discussion badly. Alexander Hamilton on Finance, Credit, and Debt does the nation a great service by starting it off.